Now's the time to start looking at Holiday Party Venues and Entertainment. We do both! Give your guests the gift of laughter with Salem Famous Improv! Improv Comedy is the perfect entertainment for your next special occasion, social gathering, corporate function, or college event. Our material is based on your suggestions meaning each show is custom-built to fit your needs and audience! Capitol City Theater has flexible options for your event, whether you want to reserve our cozy venue in historic downtown Salem that seats 60 or invite our performers to your location, we're ready for anything. Looking for an affordable day time venue with a stage, sound system, and bar? We're just what you need! Pricing starts at $250 for a three hour day-time event. If you're booking a venue to hold 6 to 60 people, Capitol City Theater also offers the option to reserve our theater for meetings, parties, corporate events, and more. We will always provide at least one staff member and if you'd like access to the bar, we'll make sure they're also certified to serve. Have a regular event in mind? We can offer a venue rental discount! 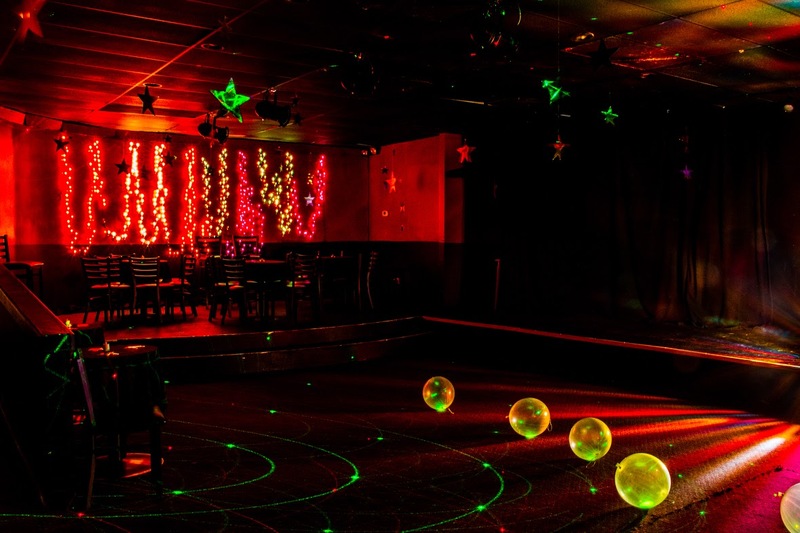 Our event space can be easily transformed to fit your party's needs! Contact our reservation coordinator at info@capitolcitytheater.com to start planning your event today!